We are delighted to announce that SQ Birichina has been awarded with M&S Eco-factory Standard (Plan A). Plan A is the way of M&S to help build a sustainable future by being a business that enables their customers to have a positive impact on well-being, communities and the planet through all that they do. 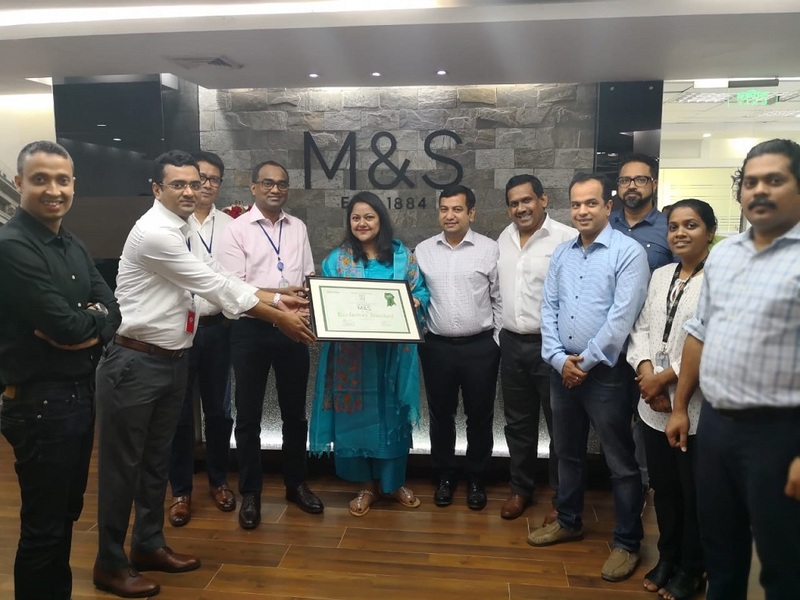 Mr. Aruna Muthumuni, Chief Executive Officer, SQ group received the certificate on behalf of SQ Birichina at M&S Bangladesh office. Mr. Warisul Abid, Chief People Officer and Mr. Mahmudul Haque, General Manager-HR from SQ Group were also present in the program.